GILL: Look at that. Would you look at that? Filthy. Absolutely filthy. And it's all thanks to you, kid. You made it possible. Jacques, I said no cleaning! PEACH: Hey, look. Scum angel. 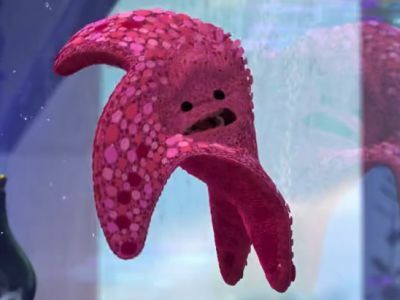 GURGLE: Aah! Aaaah! Ooh-ooh! Aaaaah! BUBBLES: Bubbles! I love the bubbles! DEB: Flo! Flo! Has anybody seen Flo? Flo! PEACH: Nine o' clock and cue dentist. DR. PHILIP SHERMAN: Hello, Barbara. Sorry I'm late. PEACH: Okay. Okay, here we go. Here we go, okay. DR. PHILIP SHERMAN: Little Davey Reynolds. BLOAT: Tastes pretty good to me. GURGLE: Eww! Don't you people realize we are swimming in our own... PEACH: Shhh! Here he comes. DR. PHILIP SHERMAN: Crikey, what a state. Oh. Barbara, what's my earliest appointment tomorrow? BARBARA: Uh, ten 'o clock, luv. DR. PHILIP SHERMAN: Leave it open, would you? I gotta clean the fish tank before Darla gets here. GILL: He he! Did you hear that, Sharkbait? NEMO: Yay! He's gonna clean the tank! He's gonna clean the tank! We're gonna be clean! GILL: Are you ready to see your dad, kid? 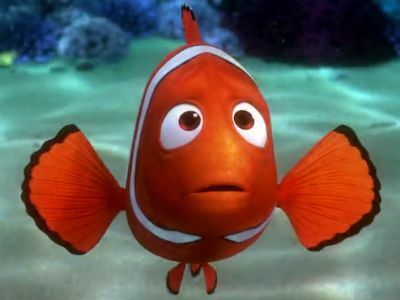 NEMO: Uh-huh. GILL: Of course you are. You know, I wouldn't be surprised if he's out there in the harbor waiting for you. right now. NEMO: Yeah. MARLIN: Ah! Of! DORY: Ha-ha-hah! Whooo! 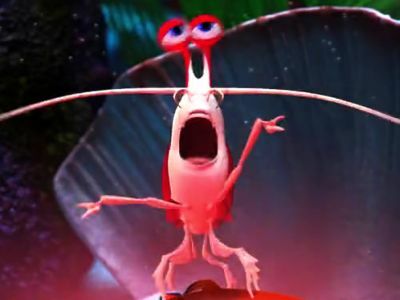 MARLIN: Aah! DORY: Here comes a big one whooo! Come on, you gotta try this! MARLIN: Would you just stop it? DORY: Why? What's wrong? MARLIN: We're in a whale! Don't you get it? DORY: A whale? MARLIN: A whale! 'Cause you had to ask for help! And now we're stuck here! DORY: Wow. A whale. You know I speak whale. MARLIN: No, you're insane! You can't speak whale! I have to get out! I have to find my son! I have to tell him how old sea turtles are! DORY: Woo-ho! Hey. You okay? There, there. It's all right. It'll be okay. MARLIN: No. No, it won't. DORY: Sure it will, you'll see. MARLIN: No. I promised him I'd never let anything happen to him. DORY: Huh. That's a funny thing to promise. 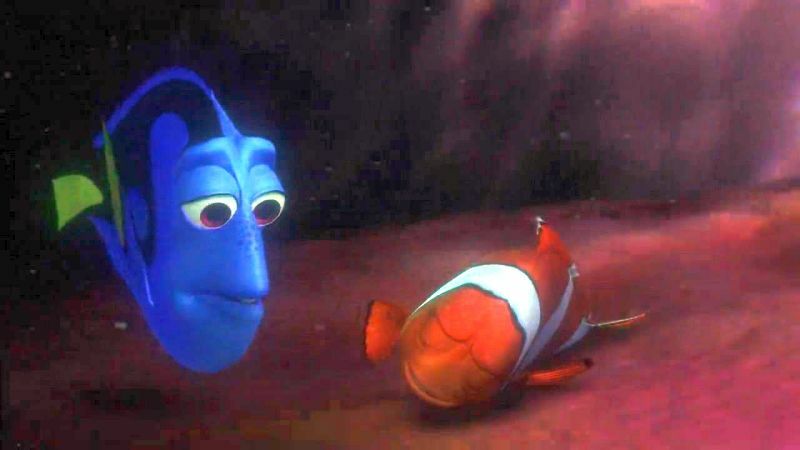 DORY: Well, you can't never let anything happen to him. Then nothing would ever happen to him.